Carolina native, Davis Love III embraces a tradition of Lowcountry character in his latest South Carolina golf course design, the Barefoot Resort Love Course. The Love course, in North Myrtle Beach, incorporates the recreated ruins of an old plantation home along holes 3-7. This stretch of holes is one of the most popular to play among the many courses in the area. Wide open fairways and generous landing areas set the stage for an equally unforgettable round of golf. 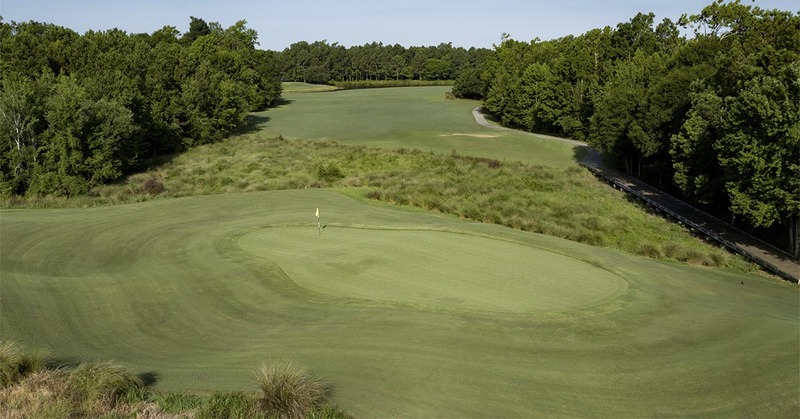 The Barefoot Resort Fazio course was also prominently featured on the Golf Channel’s hit show, the “Big Break Myrtle Beach” in 2014. 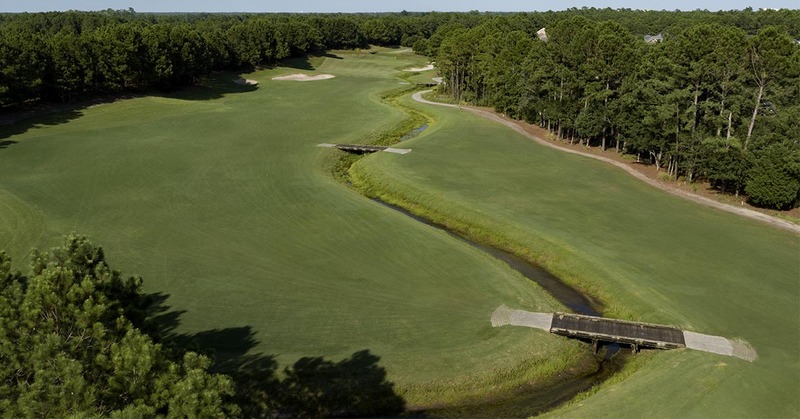 The Barefoot Resort Love Course is a traditional course among the North Myrtle Beach golf courses with its Lowcountry character. 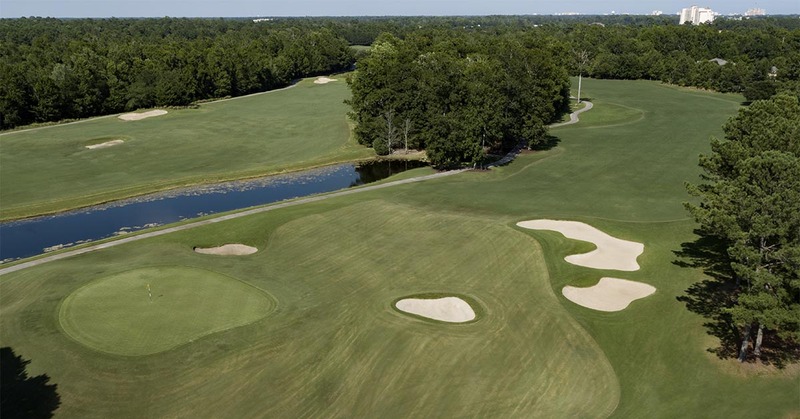 More importantly, it incorporates Love’s South Carolina golf course experiences in the design. This visually striking layout features generous landing areas and greens complexes similar to those found on Pinehurst #2 at the 1999 U.S. Open. As a result the course is very playable for golfers of all abilities and talent. Low handicappers will appreciate the green complexes and approach shots. Higher handicappers will appreciate the beauty of the property. Additionally they be asked to hit shots relative to their abilities. 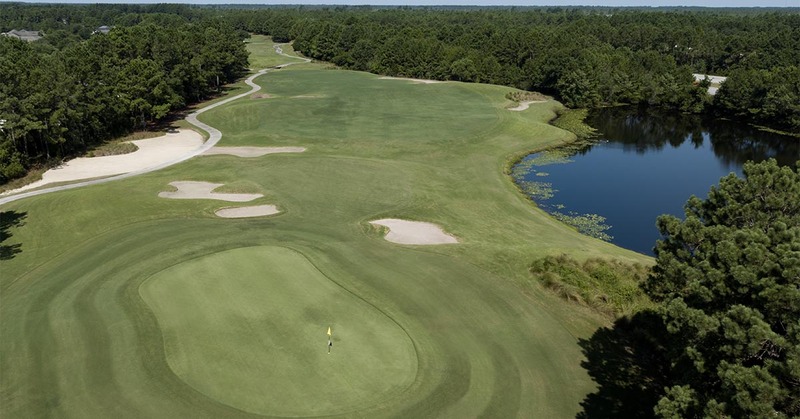 The Barefoot Resort Love Course is a Par 72 and plays over 7,000 yards. The course will challenge the good player, yet provide playability and enjoyment for the average player. New Champion Bermuda greens only add to the excellent playing conditions this course offers year-round. Each cart features a modern GPS system, which allows players to track their scores, get accurate yardages for shots, and see overhead visuals of each hole. Lastly, great customer service is always part of the round.